With effect form 2007, colour for identification of conductors in fixed electrical installations will be changed, and the details are shown below. The change is applicable to all new electrical installations as well as addition & alteration to existing electrical installations. Existing installations with cables adopting the old cable colour code will not be affected. The new cable colour code complies with the requirements of relevant national and international standards (such as IEC 60446, EN 60446, BS EN 60446 and BS 7671) and has been adopted by the majority of the western countries (e.g. UK, France, Germany, Spain, Netherlands, Portugal etc.). In the new colour code, the black core will be changed from neutral to phase and the blue core from phase to neutral. Wrong connection of these cores will lead to increased risk, leading to possible electrical accidents and short circuiting, in particular during the transition period. To ensure electrical safety, it is recommended not to conduct, whenever practicable, works on "LIVE" installations at any cable colour change interfaces. Where serious inconvenience would arise from isolating electrical circuits for works at the cable colour change interfaces, adequate safety precautions should be taken to avoid danger from "LIVE" working conditions. The old cable colour code, i.e. 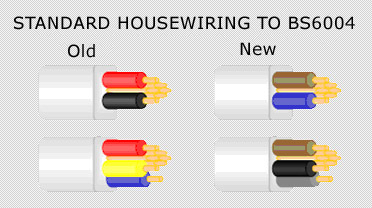 red, yellow and blue for phase conductors and black for the neutral conductor, are to be replaced by the new one, i.e. brown, black and grey for phase conductors and blue for the neutral conductor, as specified in Table 1. 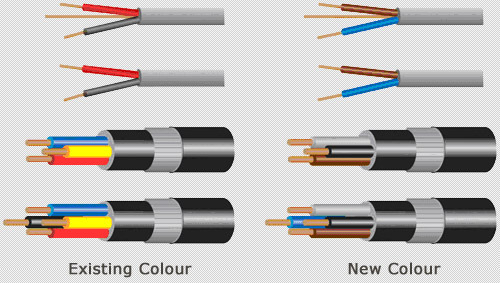 Circuits for new installations should be wired in new colour coded cables. 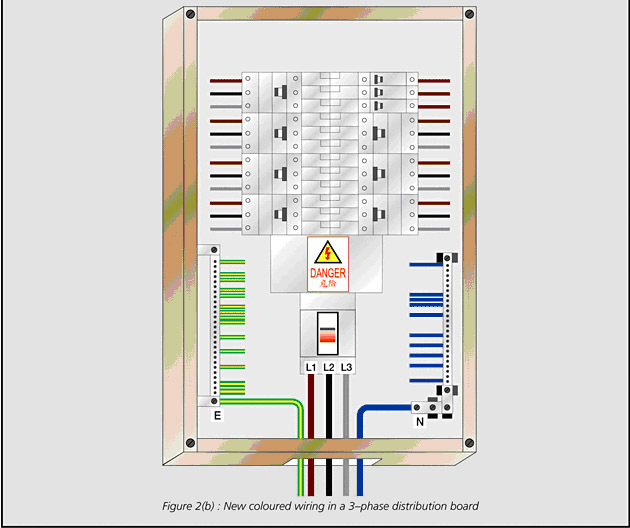 For a single phase installation, only the brown colour should be used to identify a phase conductor, irrespective of whether it is connected to the L1, L2 or L3 phase. For a room /flat /unit taking single phase electricity supply from a multi-phase power supply source, only brown (phase) and blue (neutral) coloured cables should be used.